Never wonder what lengua is again. Have you ever walked into an authentic Mexican restaurant, looked at the menu and been completely overwhelmed? Bombarded with words like lengua, pastor and alambre, ordering is a struggle when you have absolutely no idea what these words mean. No need to worry—with this all-inclusive Mexican food guide, you’ll never have to settle for pollo just because it’s the only word you know. Carne Asada: One of the most popular types of meat, carne asada (aka grilled beef) is commonly found in tacos, burritos or tortas. Chicharrones: Seasoned and deep-fried pork rind. It can be eaten alone as a snack or even in a burrito or taco. Pollo: Chicken (if you haven’t figured it out from eating “El Pollo Loco” as a kid). 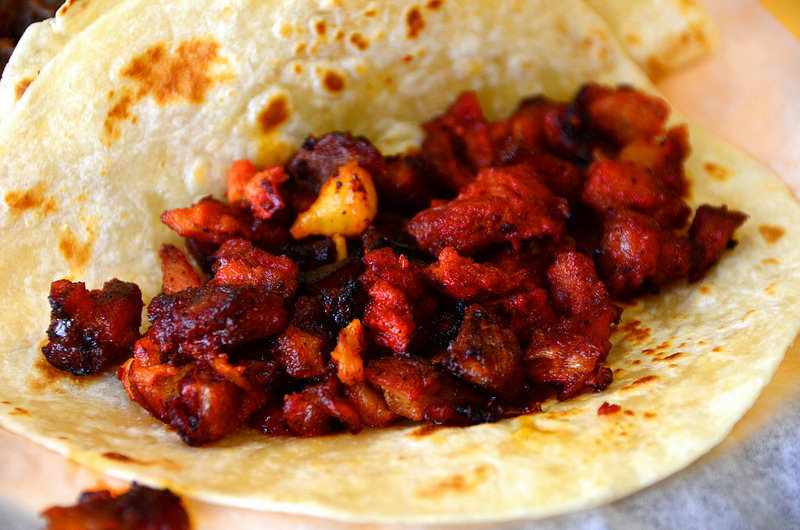 Al Pastor: Like the Mexican version of shawarma or gyros, the meat (usually pork) is cooked on a vertical rotisserie and then sliced off. Try these in a burrito—it’s my favorite! Carnitas: Braised pork. It can also be cooked by boiling and then roasting, or even frying. Done right, carnitas is delicious, but can easily be overcooked, producing a tough and hard to eat meat. Alambre: Chopped meat mixed with vegetables, marinated, roasted and then covered with cheese. It’s usually served with a tortilla so you have something to scoop up all that deliciousness with. Burritos: Probably one of the first things you think of when you hear “Mexican food.” This is heaven wrapped in a tortilla, simply, a beautiful bundle of goodness. They’re typically made with beans, rice and some type of meat, but can be customized pretty much however you want. They also come in different variations, like the California burrito (a normal burrito with fries in it) and the breakfast burrito (made with eggs, potatoes, and your choice of chorizo or bacon). It’s often contested whether or not burritos are actually true Mexican food, but they’re delicious, so who cares? Chilaques: A popular Mexican breakfast food, kind of like nachos in that they’re crunchy tortillas covered with salsa, meat and eggs. Enchiladas: American enchiladas are made covered in cheese and red sauce, and usually stuffed with meat. Mexican enchiladas are covered with green salsa (chile verde) or mole (a delicious sauce made with many spices and chocolate). 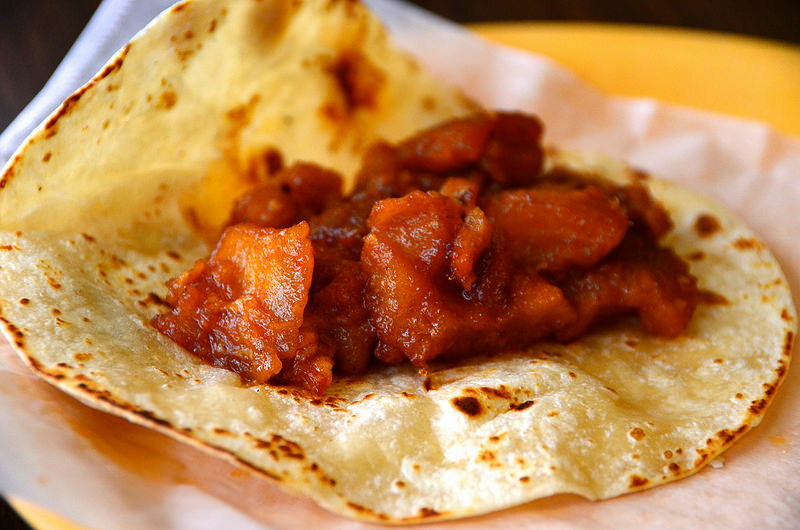 Tacos: Another ubiquitous Mexican dish, tacos can be made either soft-shell or hard-shell. Authentic Mexican restaurants (or basically just not Taco Bell) usually have soft-shell tacos made with corn or flour tortillas, and are filled with various types of meats or vegetables. 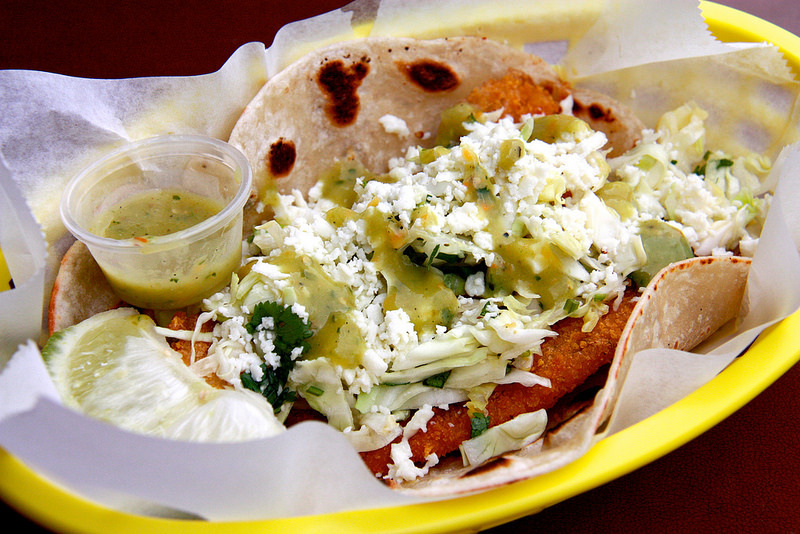 Fish tacos are especially popular in oceanside states like California. Tortas: Basically a Mexican sandwich. They can be filled with almost anything imaginable and make for a hearty meal (they’re usually huge). Chapulines: Grasshoppers, which Mexicans consider a delicacy. Are you brave enough to try it? Lengua: Beef tongue, which is actually quite high in protein and tastes delicious, if you can get over the fact that you’re eating, well, tongue.